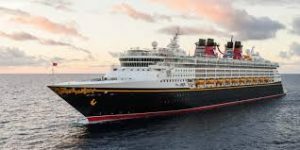 Join us for Part 1 of Steve’s family Mediterranean Cruise aboard the Disney Magic this past June. In Part 1, we discuss the 3 days we spent in Rome prior to the cruise, along with the 2 days we spent in Germany afterwards. In Part’s 2 and 3 we will focus on the cruise itself, along with our shore excursions. I want to say thank you to all of our listeners who come back each week to support our show. If you have any questions, or would like to get into contact with Steve or Christy, you can reach us via Facebook or Twitter.